Stay connected while you are away. Whether you need to check emails or simply want a connection to stream your favorite show these rentals come complete with hi-speed internet and Wi-Fi access. Browse and book our wired rentals today! Papakea 1 Bedroom, 1 Bath Ocean View and Garden View Condo! Oceanfront Honua Kai, Maui’s newest full service resort in over 25 years, can be your next vacation choice! 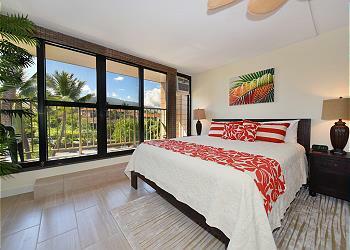 Located on world famous Kaanapali Beach, Honua Kai offers a true luxurious Hawaiian vacation. 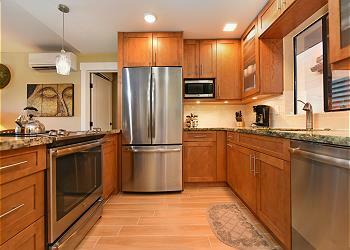 Beautiful 1ba/1ba with a brand new kitchen and all new furniture! The perfect mix of comfort, modern style, and convenience, this unit is close to the beach and offers a large, breezy lanai. This 2nd floor, spacious, air-conditioned, condo is a 1 bedroom with a studio all in one!! It has wonderful ocean view, and easy direct access from the lobby and parking lot with no stairs to climb!! Enjoy this 2 bedroom, 1 bathroom with a lanai that opens directly to a garden view, so you can fully enjoy the outdoors sleeps up to 4 people. It is a cozy getaway perfect for relaxing. Wonderful 2 Bedroom, 2 Bath Condo With Beautiful Sunset Views, At Kaanapali Royal On The Royal Golf Course Kaanapali Beach! 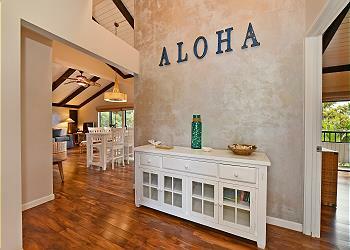 This adorable new 1bd/1ba condo sits across from Kalama Park in the heart of beautiful Kihei. You'll get to enjoy stunning ocean and mountain views, AC, and all the comforts of home!